LOS ANGELES (November 29, 2016) - On a blistering hot, Labor Day weekend in 1982, about an hour's drive from Los Angeles, The Ramones, B-52's, Talking Heads, and The Police all took the stage in front of over 100,000 fans. The Police were in mid-tour for Ghosts in the Machine and as Stewart Copeland recollects: "we were whip-cracking hot - and we scorched Southern California". The next day, Eddie Money, Santana, The Cars, The Kinks, Pat Benatar, and Tom Petty & the Heartbreakers rocked to an even larger crowd. Sunday morning, The Grateful Dead took the stage bright and early - billed as "Breakfast in Bed with the Grateful Dead", and they were followed by a lineup that included Jimmy Buffet and the Coral Reefer Band and Jackson Browne. Fleetwood Mac closed the show. This was The 1982 US Festival. "The US Festival was financed by Steve Wozniak, co-founder of Apple," says Glenn Aveni, of Icon Music TV, an indie filmmaker who has produced and directed music documentaries on John Entwistle, The Clash, and Les Paul. "It was produced by Bill Graham. The 350,000 fans that were there still consider it a highlight of their concert-going lives. Yet for all its talent, and for all its influence and innovation, the US Festival is not so readily remembered, because there never was a film about it... Until now." "Woz felt the 1970's were The 'Me' Generation and that it was time for the world to embrace a less selfish credo, one of unity and togetherness," explains Aveni, Director of the documentary. "He created UNUSON - short for 'Unite Us In Song' to produce a huge 3-day outdoor state-of-the-art concert that married music and technology. I have entitled this documentary "The US Generation" in tribute to Woz and his message of unity. It's not lost on me that a message of unity should resonate with all of us today." 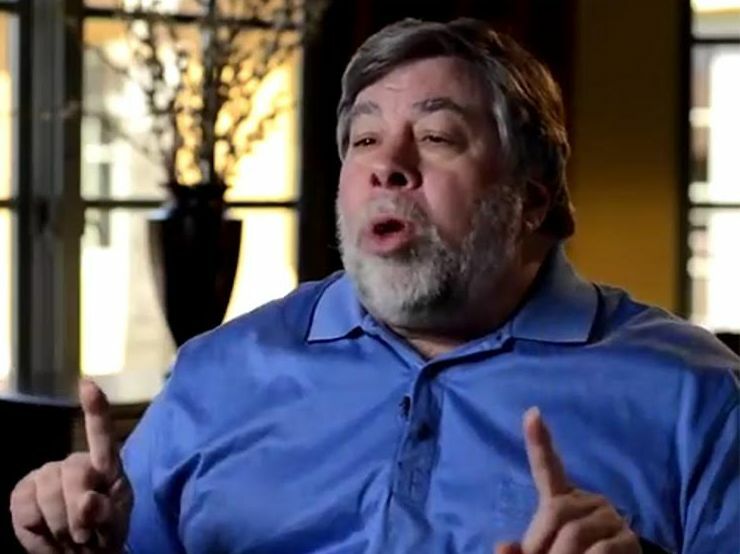 "Wozniak had the vision and the money and the determination to get it done. The opportunity arose, and he took it," adds Mickey Hart, in an interview for the film. Aveni has worked on the film since 2012 and says it is mostly done. To help clear and remaster additional music for it, he has launched a campaign on Kickstarter: http://kck.st/2fjAz8u. In an unusual concession from his distribution partner, he has arranged for the "rewards" from Kickstarter - including copies the film - to be immediately available after the film's completion, before any festival screenings, theatrical releases, or TV premier. "My distributor agreed that the people who were there have already waited 30+ years," he explains. 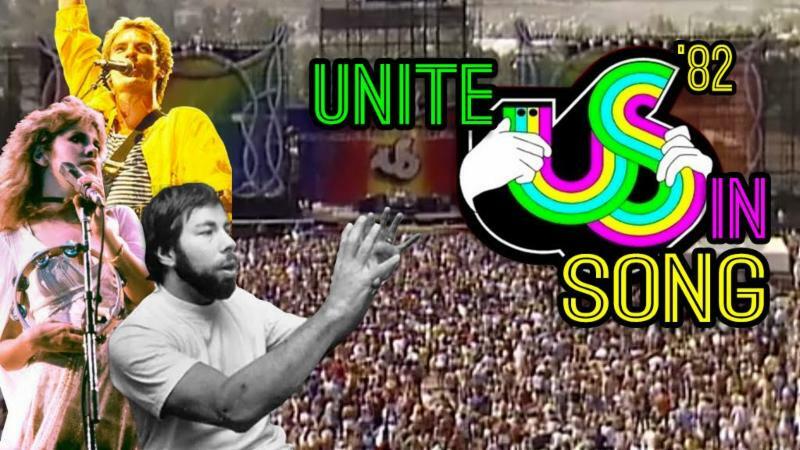 The innovations of the 1982 US Festival were as legendary as its performances. The venue was built from scratch in San Bernardino, on the site of a former prison farm, in a matter of a few months. It is still the largest outdoor amphitheater in America today. The US Festival invented misting stations, pioneered water cannons to cool the crowd, unveiled the debut of Diamond Vision - a huge screen actually visible during the day, and helped pioneer digital sound delay, so that fans in the back could hear sound in real time. "The 1982 US Festival executed. They did it right, and showed it could be done right, setting the stage for future mega-shows from Live Aid to Bonnaroo and Coachella," says Gregg Perloff of Another Planet, who was with Bill Graham Presents at the time and was interviewed for the film. "Prior to The US Festival in 1982", adds Aveni "No multi-day outdoor permit had been issued by any municipality since 1969 - the year of Woodstock and Altamont, both of which had serious operational difficulties and safety issues. If not for this event, who knows if and when other events would have occurred." Free water and shade tents were everywhere. The stage was the largest yet seen, and the sound was powered by 400,000 watts. There was a tech pavilion under 5 air-conditioned tents, stocked by Woz and his friends with the latest gadgets and some prototypes of what was yet to come. They even piped music over satellite feed into the USSR - crossing The Iron Curtain. "It's a great untold story full of awesome music, amazing anecdotes and larger than life personalities," adds Aveni. The US Generation documentary is a blend of music, archival footage, and interviews with the crowd and with performers. 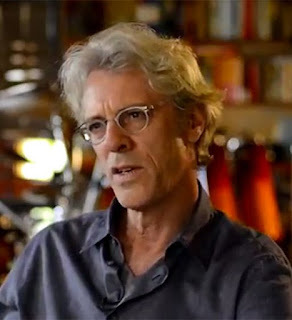 Besides Perloff and Hart, there are insightful present-day interviews with Stewart Copeland (The Police), Mick Fleetwood (Fleetwood Mac), Eddie Money, Marky Ramone, Kate Pierson (B-52's), and Wozniak himself, all speaking fondly and candidly about the event. Among those interviewed archivally are Sting, Pat Benatar, David Byrne, Ric Ocasek, Carlos Santana, and DaveDavies, along with Woz and Graham. The film also covers how the event was conceived, and regales with the on-site hijinks, challenges, and lively battles between Graham and Woz. The Kickstarter campaign is offering the first copies of the film, in digital download, DVD, and Blu Ray, with options for extra music, and added celeb commentary. "We've gone to town on these Rewards," says Aveni. "If you love classic rock and have pined for something new, here you go." Filmmaker Aveni lived and worked for many years in LA and now resides in the Milwaukee area where he grew up. He is available for interviews. The Kickstarter campaign is now live at http://kck.st/2fjAz8u. Thanks to a slew of wonderful new holiday releases it is definitely beginning to feel a lot like Christmas. Tell me more: Gene Autry's A Melody Ranch Christmas album is a wonderful time machine, featuring recordings from the 1940s and early 1950s originally recorded on Autry's long-running "Melody Ranch" radio show aired on the CBS Radio Network. 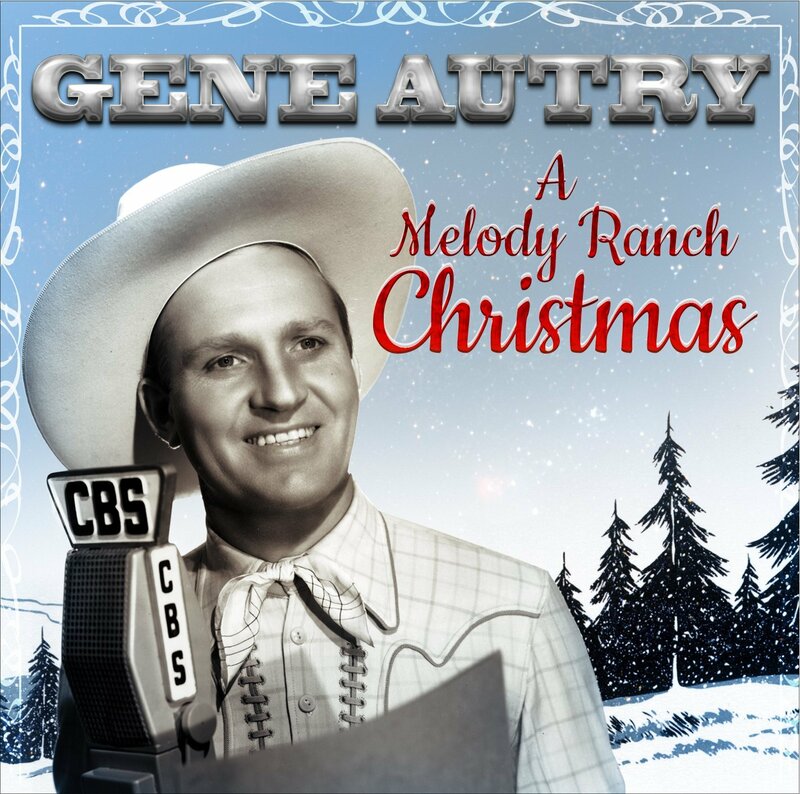 Fans of classic country-western music and Christmas music will love this sentimental set filled with great recordings of "White Christmas," "Jingle Bells," "Joy to the World," "Winter Wonderland," "Frosty the Snow Man" and many more. The album's great booklet includes insightful liner notes and vintage black & white images of Melody Ranch cast members that add to the magic. Information: VareseSarabande.com. 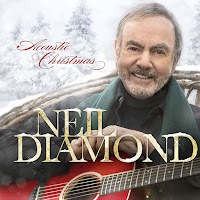 Tell me more: Neil Diamond brings his rich baritone and signature style to some of the season's most beloved standards and several originals on his Acoustic Christmas. The sparse arrangements bring depth and introspective enchantment to all the performances, from the weighty "O Holy Night" and "Do You Hear What I Hear" to the anthemic "Hark the Herald Angels Sing" and delightful Celtic-flavored "Christmas in Killarney." 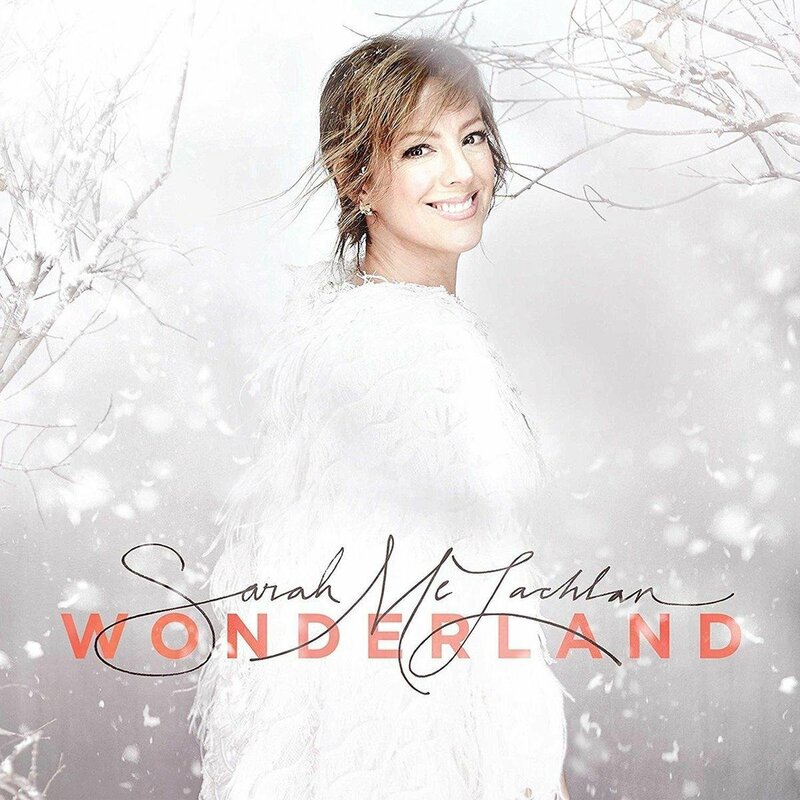 The album features two new shining originals, notably the lovely piano-anchored "Christmas Prayers." Information: NeilDiamond.com. 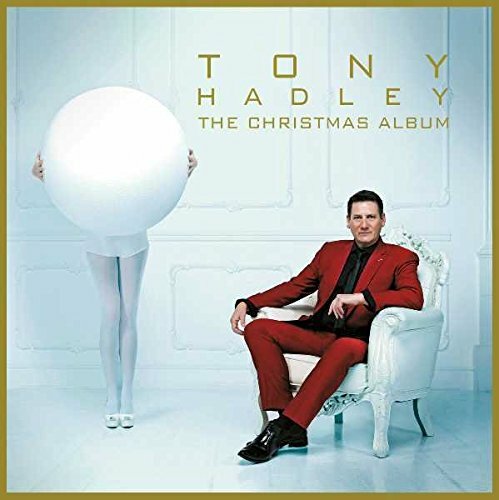 Tell me more: Fans of '80s new wave band Spandau Ballet know well the power of singer Tony Hadley. Now the British singer's soulful vocals come in the service of 18 stellar tracks on The Christmas Album. Hadley mines enduring standards ("White Christmas" "Santa Claus Is Coming to Town"), traditional fair ("Ave Maria," "Silent Night") and several originals ("Every Second I'm Away," "Snowing All Over the World") on a terrific title centered around his top-tier vocals. A duet with Kim Wilde on "Have Yourself A Merry Little Christmas" is among the treasures on the set. Information: OmnivoreRecordings.com. Tell me more: Sarah McLachlan brings her beautiful soprano to a number of beloved Yuletide favorites on the aptly-titled Wonderland. There is a nostalgic and yearning tone to this album with "Angels We Have Heard On High," "O Come All Ye Faithful" and "O Holy Night" among the adored songs covered with a mix of reflective melancholy and sumptuous beauty. A Barnes & Noble exclusive edition (reviewed here) includes two indispensable bonus tracks "Amazing Grace" and "Snow." Information: SarahMclachlan.com. 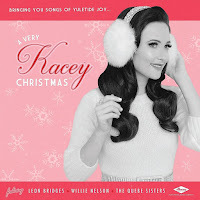 Tell me more: Alt-country songstress Kacey Musgraves is one of country music's most exciting young artists, and her first full-length holiday music offering (A Very Kacey Christmas) is as superb as her other recent albums for Mercury Nashville (2013's Sam Trailer Different Park and 2015's Pageant Material). In addition to affecting covers of classics such as "Have Yourself a Merry Little Christmas" and "Let It Snow" four Musgraves originals sparkle with the magic of the season; this writer's favorites include the beautiful ballad "Christmas Makes Me Cry" and the Hawaiian-styled "A Willie Nice Christmas," the latter a memorable duet with legend Willie Nelson. Information: KaceyMusgraves.com. 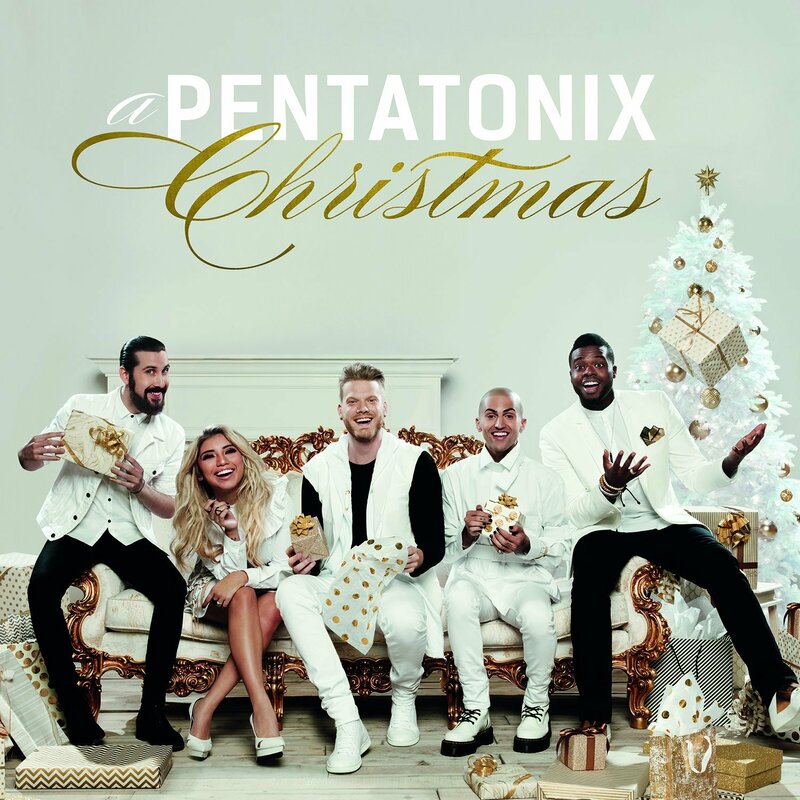 Tell me more: Texas-spawned a cappella group Pentatonix has released another holiday set sure to please fans of the vocal quintet. Formed in 2011, Pentatonix has already established a bona fide signature style built atop original arrangements boasting tight and dynamic vocal harmonies, innovative percussion achieved with their voices as well as riffing and beatboxing to boot. The group's latest album release (A Pentatonix Christmas) continues that welcome tradition with impressive versions of "O Come, All Ye Faithful," "God Rest Ye Merry Gentlemen," "White Christmas" (performed with the Manhattan Transfer), "Coventry Carol" and more. Information: ptxofficial.com. 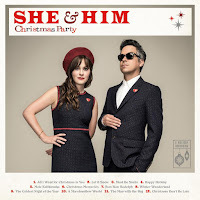 Tell me more: Since bursting on the scene with their first album Volume One in March 2008, She & Him (Zooey Deschanel and M. Ward) have been reviving '60s-styled sunshine pop across a number of winning releases. 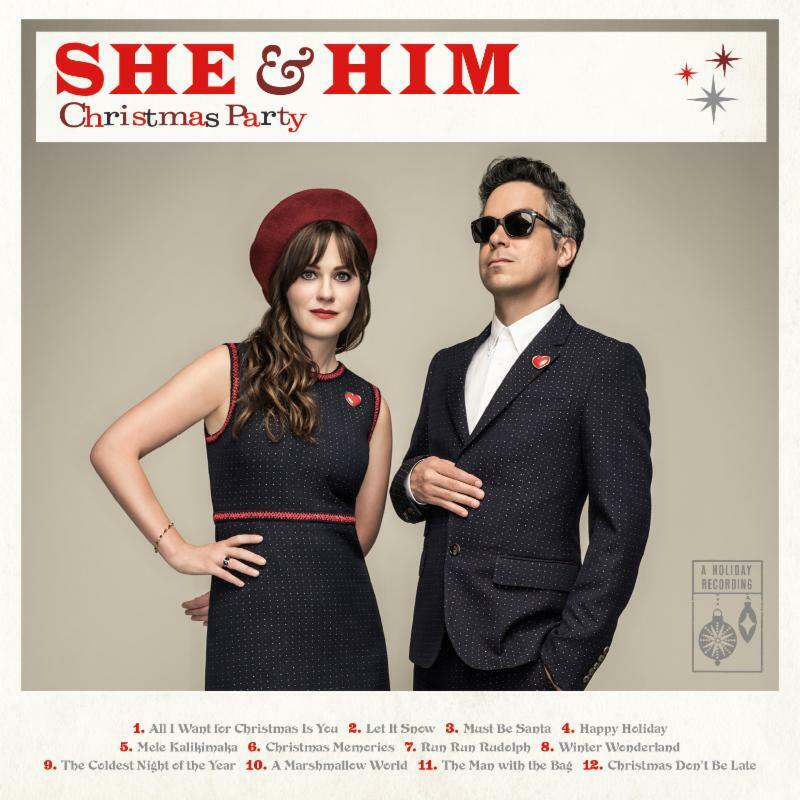 The duo released the wonderful A Very She & Him Christmas in fall 2011, and have just issued a new holiday collection titled Christmas Party that finds the duo offering up a dozen gems including a spirited "All I Want for Christmas Is You," a dreamy jazz-tinged "Let It Snow" and old-time country take on "Winter Wonderland" that finds Deschanel sharing lead vocals with guest Jenny Lewis. Information: sheandhim.com. With the holidays fast approaching, there is simply no time like the present to begin thinking about great DVD titles to give as gifts – or to put on your own wish list for the season! 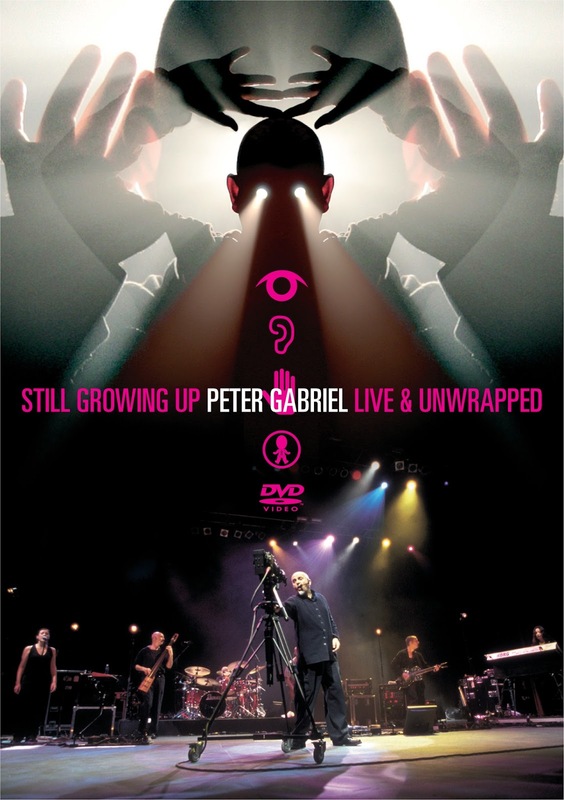 Tell me more: The two-disc DVD release "Still Growing Up + Live & Unwrapped" features groundbreaking rock artist Peter Gabriel in the early '00s performing some of his most treasured material. Still Growing Up boasts a wonderful full-length concert in Belgium that showcases incredibly powerful versions of "Red Rain," "Secret World," "San Jacinto" and "Digging in the Dirt." Bonus material on that title includes early studio footage of Gabriel and his band performing "Darkness," "No Way Out" and "Growing Up" ahead of the then-forthcoming 2002 "Growing Up Live" tour, as well as Gabriel appearing live on the BBC show "Later...with Jools Holland" playing "Downside Up" and "Father, Son." Information: eagle-rock.com. 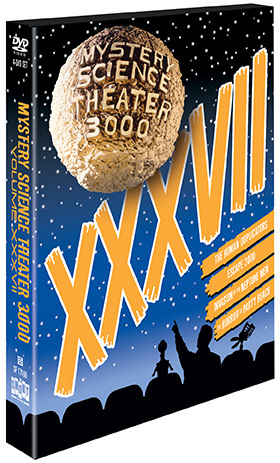 Tell me more: One of the most unique and groundbreaking shows in the history of television, Mystery Science Theater 3000 is celebrated via the latest DVD box set ("Mystery Science Theater 3000: Vol. XXXVII") featuring four previously-unreleased episodes. For 11 wonderful years MST3K somehow blended science fiction, comedy, pop culture and music together with aplomb in an unadulterated celebration of terrible moviemaking. Take "Escape 2000," an early '80s low-budget Italian film that allowed ample chances for the crew of the Satellite of Love to reference everything from Ziggy Stardust, the Talking Heads and "Purple Rain" to the Kinks, Eddie Money and Ringo Starr. Across the four movies, many of the crew's riffs are even sung. The latest MST3K set also features the '60s hot rod/rock 'n' roll film "The Horror of Party Beach," as well as "The Human Duplicators" and "Invasion of the Neptune Men." Information: shoutfactory.com. 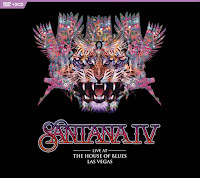 Tell me more: A few weeks before the classic late '60s/early '70s lineup of Santana released their much-anticipated reunion album Santana IV album in April 2016, the group performed a special concert at the House of Blues in Las Vegas. 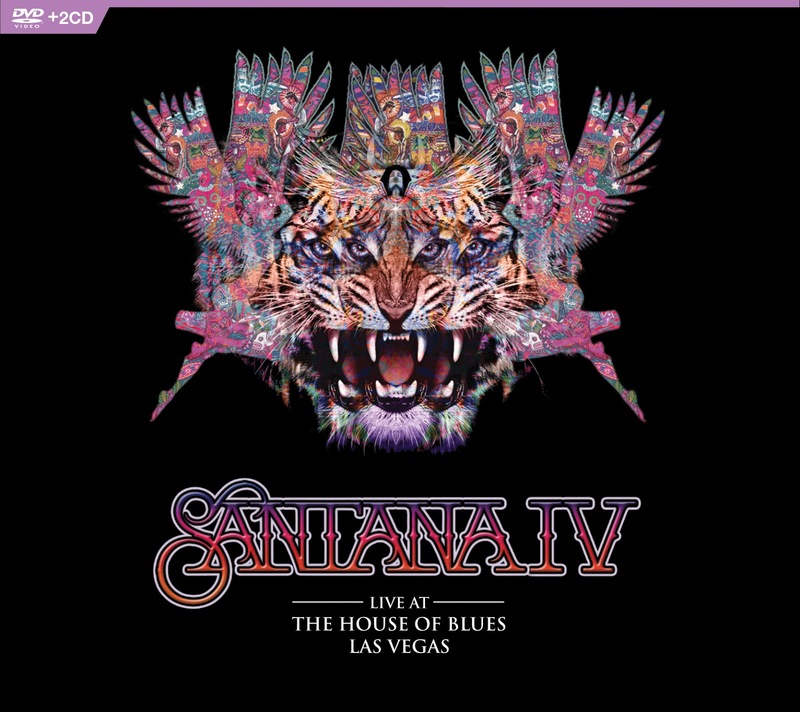 The lineup of guitarist Carlos Santana, guitarist Neal Schon, keyboardist-lead vocalist Gregg Rolie, drummer Michael Shrieve, congas player Michael Carabello and several other players shine across the new concert film Live at the House of Blues, Las Vegas. Those who love that troupe's blend of heavy grooves and percussion get that from the get go with Shrieve, Carabello and percussionist Karl Perazzo offering up dynamic rhythmic interplay on "Soul Sacrifice" and follow-up "Jingo" with Santana layering the proceedings with his Latin-flavored lead guitar work. An extended version of the rock staple "Evil Ways" features all sides of the sweet-sounding ensemble with Rolie delivering his distinctive vocals and strong work on the keyboards while Santana and Schon (of Journey fame) trade blistering lead guitar work. Among the strongest tracks are the breezy "Anywhere You Want to Go," tandem-guitar propelled "Choo Choo" and dynamic freewheeling "No One to Depend On." The DVD includes a revealing interview with the band. Information: eagle-rock.com. Tell me more: Filmed on the heels of the release of his acclaimed Post Pop Depression collaboration with Queens Of The Stone Age frontman Josh Homme recorded mostly at Rancho De La Luna in Joshua Tree, the newly released concert film and companion audio recording Post Pop Depression: Live at the Royal Albert Hall delivers on Iggy Pop's powerful blend of hard rock, punk and alt rock via a 22-song performance in front of an adoring crowd. 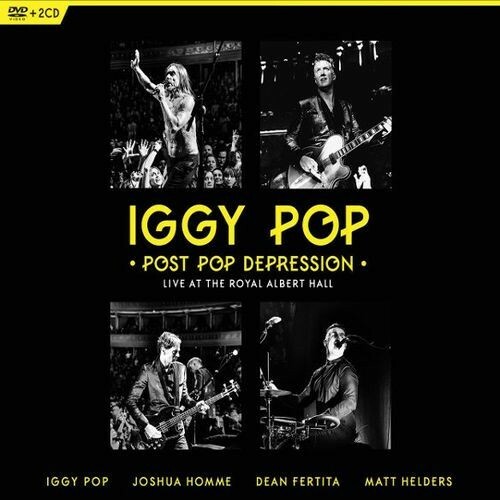 In addition to potent new material (particularly the guitar-heavy "Gardenia"), Pop and his excellent band (including Homme) play bona fide classics including a remarkably tender take on "China Girl" and propulsive "Lust for Life" (the latter two which he co-wrote with the late David Bowie). 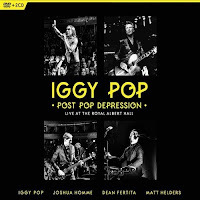 "Post Pop Depression" is available on DVD+2CD, Blu-ray+2CD and via digital formats. Information: eagle-rock.com. 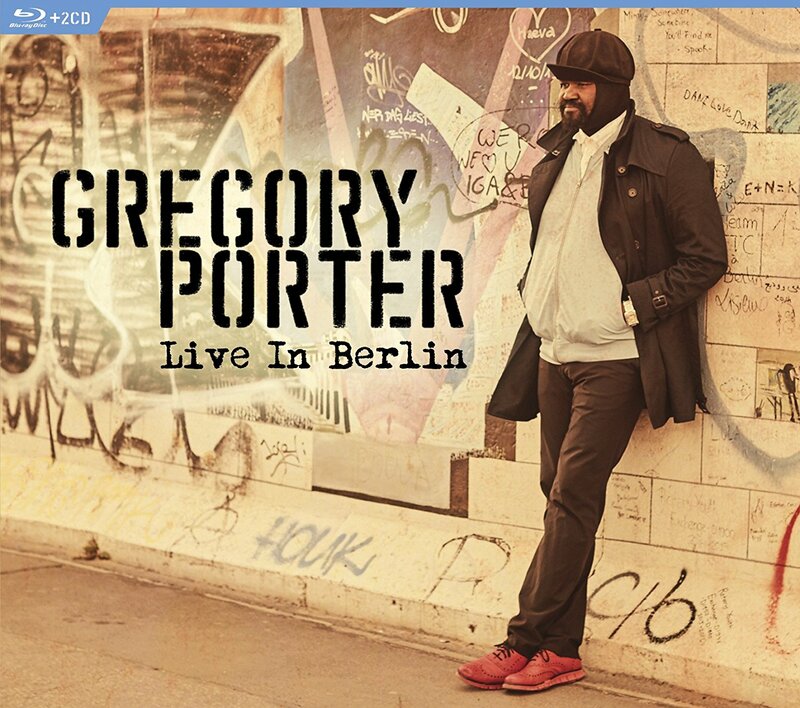 Tell me more: An amazing vocalist and top-tier songwriter, Grammy winner Gregory Porter's jazz-meets-soul style is displayed across the wonderful Live in Berlin (released Nov. 25, 2016). Backed by a sterling four-man band, the concert features the memorable blue-tinged jazz ballad "Hey Laura," uptempo medley "On My Way to Harlem / What's Going On" and rousing R&B tribute to his son "Don't Lose Your Steam." A singer able to sing with technical skill and emotional depth free of cliche, Porter is able to bring his life experiences, world issues and family ties brilliantly into song. The film features all of the songs featured on the accompanying audio CDs, with Porter providing narrative asides on the stories behind most of the tracks. Live in Berlin is available on DVD+2CD, Blu-ray+2CD and via digital formats. 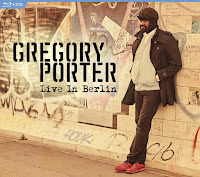 Information: eagle-rock.com and GregoryPorter.com. Tune in to Jimmy Kimmel Live! tonight, November 22 to catch Brandon Flowers and The Killers kicking off the holiday season in the second annual (RED) episode supporting (RED)'s fight against AIDS. 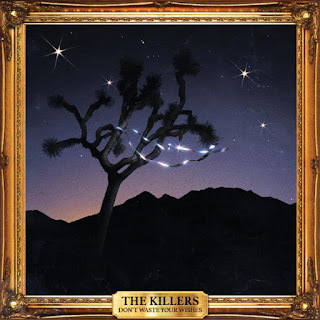 The Killers will join Jimmy Kimmel and U2 frontman Bono for a special performance with appearances from Julia Roberts, Channing Tatum, Kristen Bell, Halsey, DJ Khaled and Neil Patrick Harris. 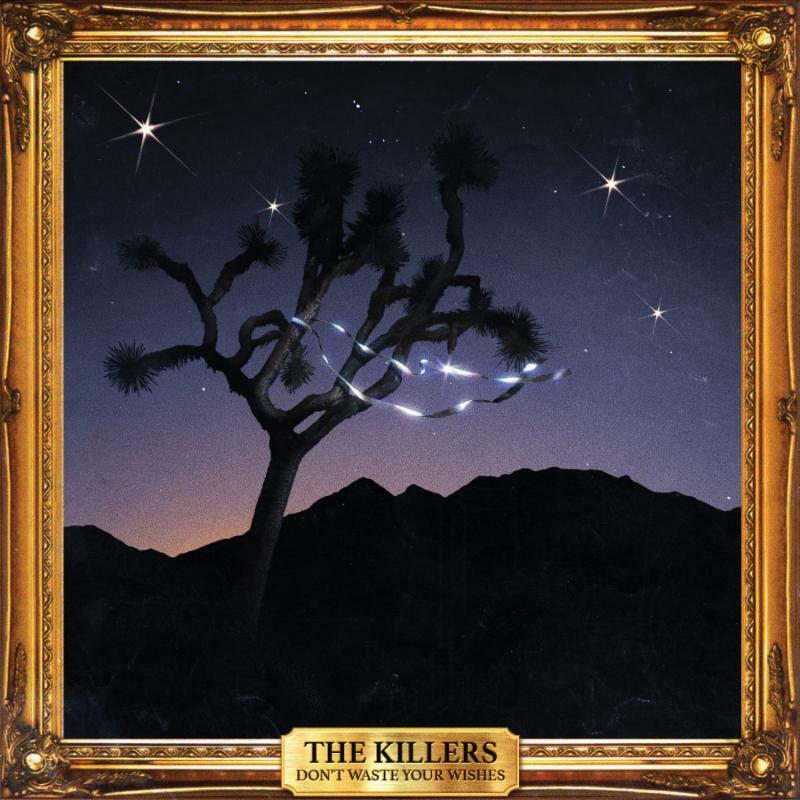 To celebrate (RED)'s 10th anniversary year and a decade of their much-anticipated Christmas singles, The Killers have released Don't Waste Your Wishes, a Christmas album featuring their ten previous Christmas singles and one brand new song, via Island Records. All proceeds from Don't Waste Your Wishes will benefit (RED) - PRESS HERE to purchase. Since 2006, The Killers have donated 11 tracks to (RED), and are the only band to have donated a Christmas track every year for the last decade. This year, they have created a special website hosting the full catalogue of Christmas videos from the past 10 years - PRESS HERE to explore. Acoustic Christmas is an Amazon Music Original playlist featuring twenty nine original and classic holiday recordings from a wide range of artists like Train, Zella Day, Us the Duo, Sara Watkins, as well as Billy Bragg and Joe Henry - will be available exclusively for streaming on Amazon Music—both Amazon Music Unlimited and Prime Music beginning today, November 22. 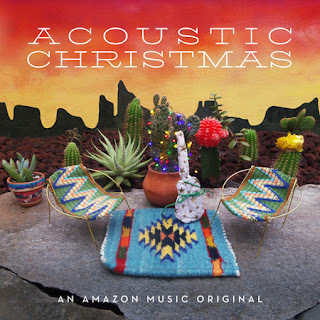 In addition to mainstream artists such as Train and Zella Day, the artist roster for Acoustic Christmas highlights established members of the Americana community, including; Trampled by Turtles, Hayes Carll, and Nickel Creek’s Sara Watkins. Emerging artists like Son Little, Keaton Henson, and Little Scream are also featured on this broad and eclectic playlist. Today, Amazon Music shared a live performance of Us the Duo's "Feels Like Christmas." "I feel like there’s always anticipation leading up to Christmas, we’re all just waiting for this special time of year. ‘I Miss You Christmas’ is my way of literally singing praise to my favorite holiday,” said Pat Monahan, lead singer of Train. 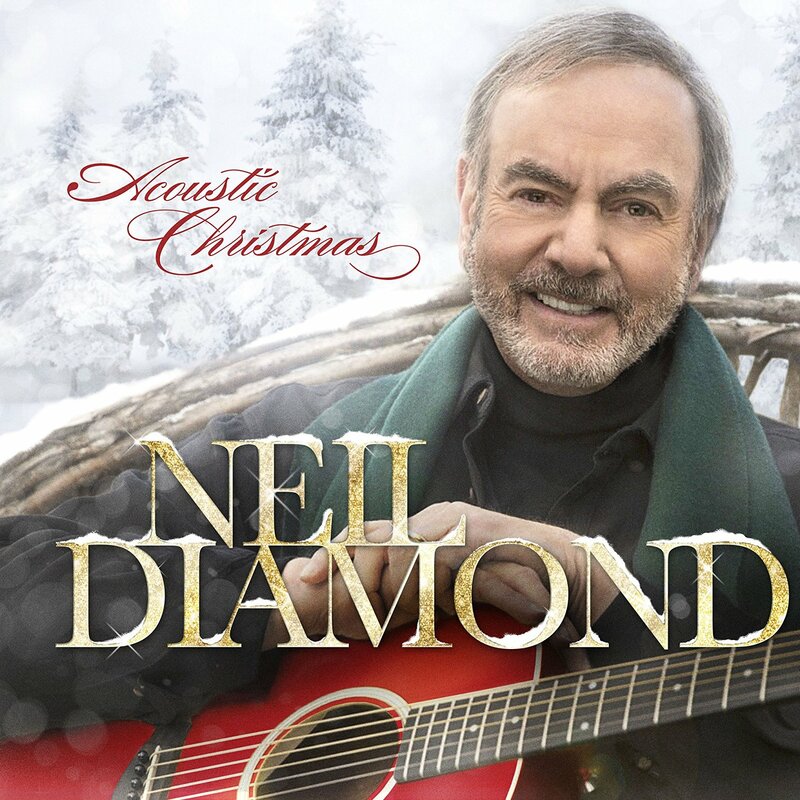 The song selection for Acoustic Christmas reflects the diverse group of artists involved, including a mix of covers of holiday classics and original compositions. Watkins’ “The Holidays with You” is an upbeat original, while Billy Bragg and Joe Henry delivered a plaintive rendition of the late Merle Haggard’s “If We Make It Through December,” recorded during their recent U.S. tour. “The moment that we were first reached with an invitation to contribute a song to Amazon's holiday playlist, the two of us were en route through an autumnal rain from the big city to the mystic hamlet of Woodstock, NY. Eager to participate and knowing time was short, we pulled guitars from the bay of our small touring bus and almost without second thought heard ourselves join voices as we bounced along, rehearsing as we traveled what proved to be the only choice of song - not only for us as songwriters of the broader folk tradition, but as world citizens desirous of navigating these treacherous times with a nod to both trembling and optimism: Merle Haggard's seminal blue-collar Christmas meditation, ‘If We Make It Through December’” explain Billy Bragg and Joe Henry. Additionally, Escondido’s beautiful version of “Little Drummer Boy” stands alongside newcomer Samuel Larsen’s acoustic-pop take on Brooks & Dunn’s “It Won’t Be Christmas Without You,” Son Little’s “What Child is This?” and American folk pop singers, Us the Duo’s newly-written song “Feels like Christmas”. The result is a timeless mix of songs showcasing the best characteristics of both acoustic and holiday music. Official music videos for a selection of songs from Acoustic Christmas will be released at a later date. Amazon Music Unlimited is available on all Amazon Music compatible devices including Amazon Echo, Fire devices, iPads, iPhones, Android devices, Sonos players and more. Customers who sign up for Amazon Music Unlimited can begin their free 30 day trial today. To find out how to listen, visit www.amazon.com/howtolisten. for SiriusXM listeners on Nov. 29, 2016. SiriusXM announced today that iconic guitarist, songwriter, vocalist and three-time Grammy-Award winner Brian Setzer and his 19-piece The Brian Setzer Orchestra will perform an exclusive invitation-only concert for SiriusXM listeners in New York Cityon Tuesday, November 29. This private concert-to air on SiriusXM's Outlaw Country and Holly channels--is part of The Brian Setzer Orchestra's in-progress 13th annual "Christmas Rocks!" tour, presented by SiriusXM (full itinerary here). 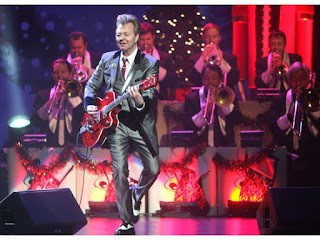 In December of last year, The Brian Setzer Orchestra also performed an exclusive invitation-only concert for SiriusXM listeners in New York City. 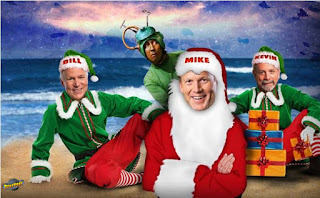 The private performance will feature the 19-piece band performing his unique take on Holiday classics, including songs from their first studio Christmas album in 10 years, 2015's Rockin' Rudolph, (Surfdog Records) plus Setzer's well-known hits from the Stray Cats and his solo career. Setzer recently released (November 4, via Surfdog Records) the Blu-ray/CD Rockabilly Riot: Osaka Rocka! - Live In Japan. The "Christmas Rocks" concert, taking place at The Hard Rock Café in Times Square, will air Friday, December 9 at 8 p.m. ET on Outlaw Country, channel 60, and through the SiriusXM App on smartphones and other connected devices, as well as online at SiriusXM. Highlights from the concert will air on SiriusXM's Holly, channel 13. For rebroadcast times, please visitwww.siriusxm.com. After the broadcast, the concert will be available on SiriusXM On Demand for subscribers listening via the SiriusXM app for smartphones and other connected devices or online at http://www.siriusxm.com/streaming. Outlaw Country plays country rebels like Johnny Cash, Waylon Jennings, Willie Nelson, David Allan Coe, Dwight Yoakam, Hank Williams Jr., Steve Earle, Emmylou Harris, Lucinda Williams, Drive-By Truckers and Old 97s. Iconic guitarist, songwriter, vocalist and 3-time Grammy-award-winner Brian Setzer is a "Musician's Musician" credited with continually taking chances with innovative and daring musical styles, while single-handedly resurrecting two forgotten genres of music (rockabilly in the '80's and swing in the '90's). Along the way, he has scored chart-topping hits, sold 13 million records and received the Orville H. Gibson Lifetime Achievement Award throughout his decorated career as founder/leader of the Stray Cats, his 18-piece Brian Setzer Orchestra, and as a solo artist. He is consistently cited as one of the world's greatest living guitarists, and has a best-selling, extensive line of elite Gretsch signature model guitars bearing his name. Brian appeared in the 1987 film, La Bamba, portraying rockabilly pioneer Eddie Cochran. In 2002, Brian earned the privilege of being one of the few musicians to be animated in an episode of "The Simpsons." That same year, Setzer was personally requested to induct Chet Atkins into the 17th Annual Rock and Roll Hall of Fame. In 2014, Setzer received the distinct honor of being asked by the Smithsonian Institution in Washington, D.C. to donate a replica of his original 1959 Gretsch 6120 "Stray Cat" guitar, joining an elite collection of musical instruments at the museum including Dizzy Gillespie's trumpet and John Coltrane's saxophone. Next week the gents of RiffTrax (Michael J. Nelson, Kevin Murphy & Bill Corbett) are set to bring the festive spirit and twice the laughs with “RiffTrax Holiday Special Double Feature.” This hilarious one night event comes to select U.S. movie theaters on Thursday, December 1st at 7:00 p.m. and includes “Santa Claus Conquers the Martians,” a beloved classic from Mystery Science Theater 3000, and “Rifftrax Live: Christmas Shorts-straveganza,” with multiple Grammy Award-winning comedy legend “Weird Al” Yankovic. Attendees will also view a bonus short, Parade of Aquatic Champions, plus the guys riffing on fan-submitted holiday family photos.